A battery charge can send your life in a direction you never expected. If you have been involved in a fight or have been arrested for a battery, you may have questions about what this could mean for your future. You may be wondering how this could affect your reputation, how much you might have to pay, and whether you could be going to jail or prison. At the Just Criminal Law, we handle misdemeanor and felony assault cases all the time. We will help you protect your rights, your record, and your freedom. Attorney Christina L. Williams and her team will fight to defend you against any kind of assault charges in Wyoming and South Dakota. Whether the police believe you were involved in a fight, caused an injury with your vehicle, or hit your spouse, we want to help you defend your rights and your freedom. With Ms. Williams' experience as a former prosecutor in both states, our team can help you understand the strengths of your case, and help you make decisions between a plea agreement and a trial. With any assault charge, there is a possibility that the accused was acting in self-defense or in defense of others. There may also be other defenses to the charges. Our trained criminal defense staff will review the circumstances of your case with you, so we can identify all of your possible defenses. Assault charges often depend on testimony from witnesses. However, witnesses in these cases are often confused as to what actually happened during an altercation. They may give conflicting statements, or contradict one another. Our experienced criminal defense team can use these inconsistencies to fight back against the prosecutors and keep them from proving that you are guilty beyond a reasonable doubt. When you are facing assault charges you want an advocate who isn't afraid to dig for evidence. Our investigations team led by Tony Seeman will examine sources for video evidence, medical reports, and other objective evidence that may shed light on your case and strengthen your defense before the jury. Family Violence charges are a particularly difficult form of an assault case. Often, they hinge on the testimony of family and close friends. That can make it difficult to make an informed decision about whether to take your case to trial. If you have been accused of domestic assault or any other type of family violence or child abuse, our team will help you assess your case, weigh your options, and fight for you. Assault is a crime that carries heavy penalties and even a loss of your 2nd Amendment right to have a firearm. Assault charges carry with them the risk of jail or prison time, fines, costs, and probation. If you are convicted you may also be required to pay a large amount of restitution to the alleged victim based on their injuries. 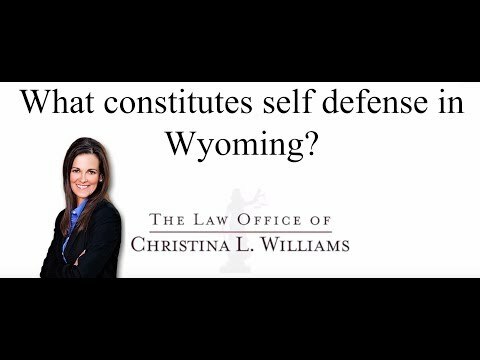 Before accepting any assault plea, make sure you have spoken with an experienced Wyoming assault defense attorney to understand all of the consequences of an assault conviction. Our skilled violence allegation defense team is ready to work for you. If you are being investigated by the police, or have been charged with a crime of violence, call our office in Gillette, Wyoming at 307-686-6556 or contact us online to schedule your personalized case review and strategy session with our dedicated client care specialist. Spanish language services are available upon request. 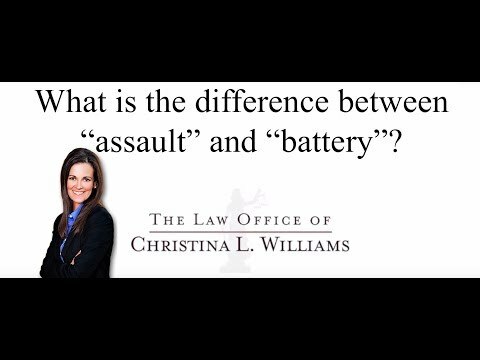 What is the difference between "assault" and "battery"?